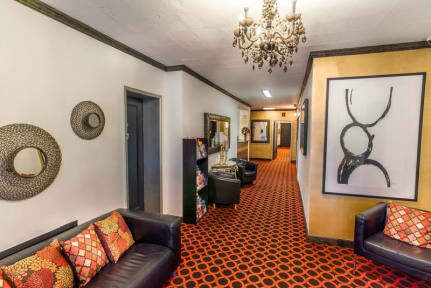 Welcome to the Royal Park Hotel and Hostel. At the Royal Park, you’ll get a taste of what it’s like to be a real New Yorker. Stroll out our front doors and head down Broadway to the many of shops, markets, bars and restaurants all within walking distance. If you prefer to skip the walk and head downtown, we are just one block from multiple train lines which can whisk you off to midtown or downtown in as little as 15 minutes. Our highly competitive rates mean you can spend your money enjoying all that New York has to offer! 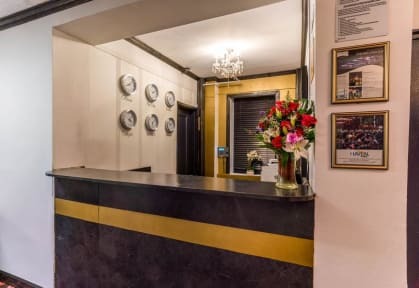 See for yourself how our dedicated staff, quaint rooms, central location, helpful amenities and unbeatable room rates make the Royal Park Hotel and Hostel an amazing value. We make it affordable for people from around the world or around the area to stay in New York City. Come and experience for yourself; New York like you've never experienced before! We provide both shared bath and air conditioned ensuite accommodation. Our tasteful, residential-designed guest rooms feature comfortable beds, ceiling fans, and contemporary furnishings. Free linen, towels, blankets and housekeeping are provided daily. Hairdryers, iron and ironing boards are available upon request. All rooms are non-smoking. The ensuite rooms have individual air conditioning units. All 73 rooms are private; the shared bathroom is in the hallway, while the ensuites have bathrooms inside the rooms. Our Single Private Shared Bathroom sleeps one on one twin bed; the Double Bed Private Shared Bathroom sleeps two on a double bed; the Twin Private Shared Bathroom sleeps two across two twin beds; the Four Bed Private Shared Bathroom sleeps four across two double beds; the Double Bed Private Ensuite sleeps two in a double bed; and the Four Bed Private Ensuite sleeps four across two double beds. Our services and features include 24hr front desk services with multilingual staff, a lift/elevator, an on-site ATM, vending machines and luggage storage available for only $2 per day. There is no curfew and no lockout. Internet kiosks with printer are available for a small fee, while Wi-Fi is available in the lobby. Located on 97th Street just off Broadway, here you are conveniently only one block from the subway (1, 2, 3 red line). You can hop on and be in midtown in just minutes or you can opt to walk and explore the neighborhood, which has many specialty shops, cafes, restaurants specializing in all types of international cuisine, bars and jazz clubs. You are just steps away from Riverside Park and within walking distance to Central Park, Columbia University, Cathedral St. John the Divine (The largest gothic cathedral in the world) and the World famous Museum of Natural History. We offer a shuttle to and from all airports; fees apply.